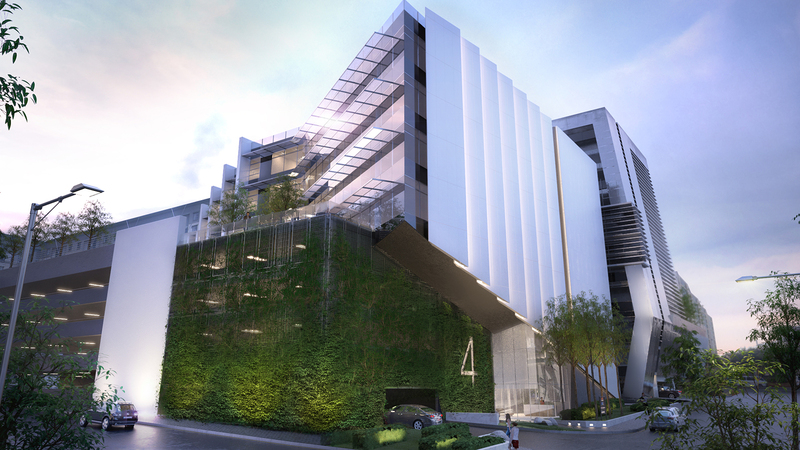 The 4 Stan Road development – this boutique office development in the heart of Sandton recently received an award plaque for its 4-star Green Star SA Office v1 Design certification. The building has two distinct aspects: the façade facing Stan Road and a north-facing façade which is a fully glazed unitised performance façade. 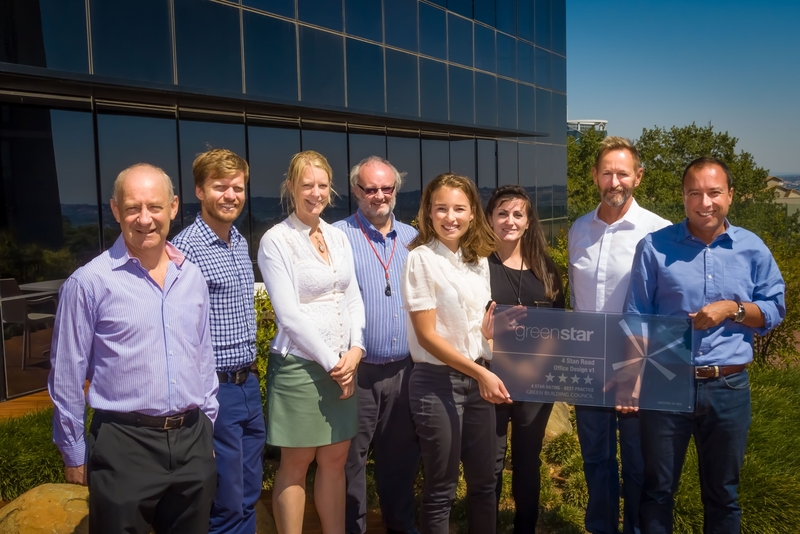 4 Stan Road – a boutique office development in Sandton anchored by MDS Architecture and Brian Heineberg & Associates – recently received its plaque from the GBCSA in recognition of its 4-Star Green Star SA Office v1 Design certification, with an As-Built certification targeted. The plaque was handed over to building owners MDS Architecture and Brian Heineberg & Associates, pictured here with green building consultants Solid Green Consulting. Pictured left to right: Brian Heineberg (Brian Heineberg & Associates), Dash Coville (Solid Green), Marloes Reinink (Solid Green), John Williamson (MDS), Sian Cohen (GBCSA), Tia Kanakakis (MDS), Pat Henry (MDS) and Pierre Lahaye (MDS). Cyclist facilities have been provided for both building occupants and visitors. 23 bicycle storage spaces, 20 lockers and 2 showers have been provided. The building owner has undertaken that, after practical completion all the building services will go through a fine-tuning process for a minimum of 12 months. This will include monthly monitoring, quarterly reviews and reporting, and a full re-commissioning service. Sub-metering of both water and energy is provided for. These are connected to an automated system which will enable easier collecting, monitoring and recording of data, as well as alerting to irregular trends in consumption. Next News Item →Health is the new Green!